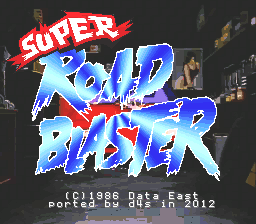 This is an unlicensed SNES port of the 1986 Laserdisc arcade game by Data East, making it the first interactive movie game and the biggest game on the system yet (6320 Mbit). You assume the role of a vigilante who drives a customized sports car in order to bring the biker gang responsible for your wife’s death to justice. 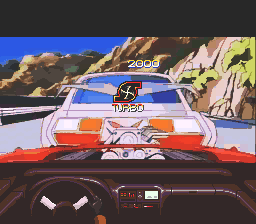 Super Road Blaster is the first game to use the MSU-1, an enhancement device comparable to special chips such as the Super FX included in certain SNES cartridges. 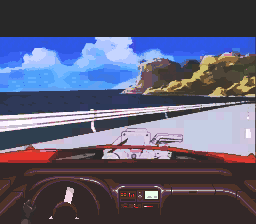 This game shows what titles on the ill-fated SNES CD-ROM drive might have looked like. This game uses the MSU-1 enhancement chip. Due to this, a MSU-1-enabled device is required to play this game.